In a hurry to get married? We approve! There are many reasons not to have a long engagement, and if you have one of those reasons, then we stand ready with top tips to help you create your dream wedding in six months or less. In fact, at The Gables at Chadds Ford, there’s a bonus for holding a wedding within two months. More on that later. So how on earth do you pull a wedding together in such a short time frame? You find a venue with an attentive, knowledgeable, caring and fun events team to do the work. These tips are relevant no matter where you have your wedding, but we sure hope you give us a look. You have enough to do with confirming your wedding party, choosing a date, whipping up a guest list … need we go on? 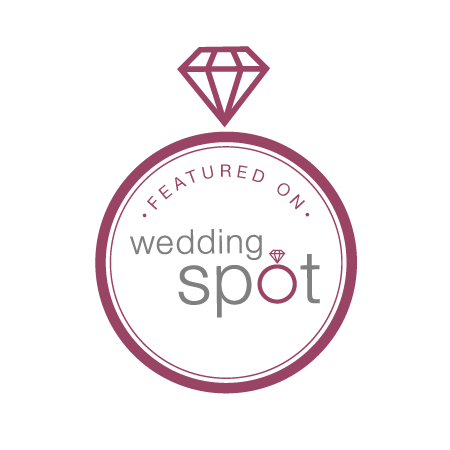 Your venue should do the rest, from start (a complimentary tour) to finish (cleaning up). Your event coordinator must be willing to work with you to stay within budget while delighting you; offer special touches such as terrace space and a wedding suite for getting ready while not nickel-and-diming you on the necessities; assist with decorations, including on-site rental options and recommend trusted vendors for services they don’t offer, such as photography, limo rentals, flowers or cakes. Talk about saving money and time! Having the ceremony and reception at the same venue eliminates travel, potential delays (traffic!) and, if parking is free, another expense for you and your guests. This one’s simple, and it doesn’t matter if you’re using an online service such as The Knot, a Facebook group, Evite or the good old U.S. Postal Service: You want to get your wedding date into the hands of your nearest and dearest as soon as you book the venue. Once you have the wedding spot of your dreams, then it’s time to make sure you have your preferred music and photographer, too. Those two should be next on your list. Your friends and family are great resources, and they usually want to help. You can ask your maid of honor to handle the save the dates, invite the bridal party for a girls’ night and address invitation envelopes over a few glasses of wine and assign your best man to research DJs or bands — the possibilities are endless. Now that’s a reason to rush! Interested in taking a look at The Gables? Our events staff is ready to hear from you! Check our venue availability and call us at (610) 388-7700.